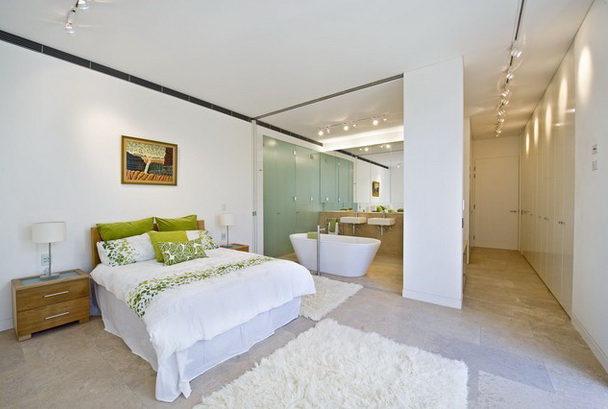 Wouldn’t it be great if all master bedrooms came with an en-suite bathroom? For me, a master bedroom is not really a master bedroom unless it does come with its own en-suite bathroom, as this is a big part of what makes that ‘master’ bedroom so special. This is especially true if the master bedroom happens to be located in the loft area of the house; if it doesn’t have its own en-suite bathroom upstairs then it would mean the occupant/occupants would have to traverse a set of stairs, twice every time they wanted to/needed to use the bathroom. Having to go up and down a set of stairs every-time I had to use the loo would completely over-shadow the other benefits of the so called master bedroom, in my opinion. 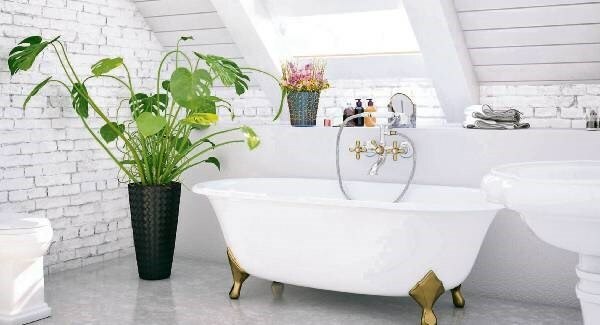 The added luxury that one has when having an en-suite of being able to roll out of bed and go straight into the bath or shower is a big one for me, also it offers another layer of privacy for the occupant of the master bedroom. The en-suite bathroom to that master bedroom will pretty much never be used by anyone apart from the person or persons living in the master bedroom, which is a big benefit if you ask me and I am almost certain that most people would agree. Having to share a bathroom with multiple people is always a drag, even if they are family, so for this reason alone I see the en-suite as really being a necessity. The en-suite bathroom doesn’t need to be the top of the range, luxurious design though, as long as it has a basin unit, a mirrored wall-hung cabinet, a toilet and a shower unit then I would be happy. Just something that is good enough to offer all the essentials that one might need when using the bathroom and that is fine. The mirrored wall hung cabinet is quite an important fitting though as it is what will offer some much needed storage space, it will add light and the feeling of more space to the room and it is what the man will use when shaving and the woman will use when cleaning her face or applying some type of facial treatment or perhaps make-up. So it is worth investing in a well-made, solid oak mirrored cabinet, just like the ones you will find displayed on the Bathrooms and More Store website – which is actually a great place to shop online for pretty much all your home furniture. If you take your time to browse around their online shop, you will find that they have something for every room of the home and also what they have is all top quality, made to last furniture, so you will be investing in something that will be well worth it.